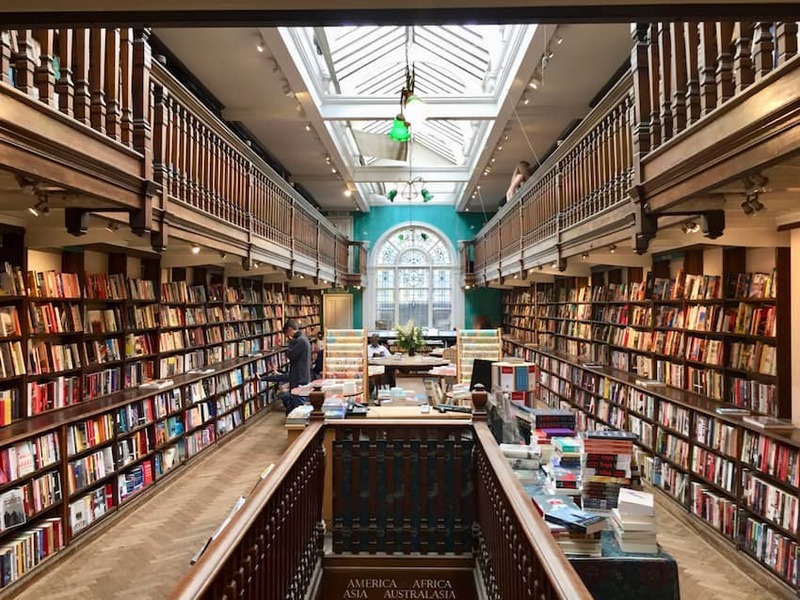 The Marylebone High Street branch of the small chain of books shops, Daunt Books, occupies a former Edwardian antiquarian bookshop. It is fitted with long oak galleries and skylights and has William Morris prints on the walls. The older section of the shop was completed in 1912 and is said to be the first custom-built bookshop in the world. The shop was renamed Daunt Books after its new owner in 1990. It specializes in travel and is arranged geographically, with guides, phrase books, travel writing, history and fiction grouped by their relevant country.